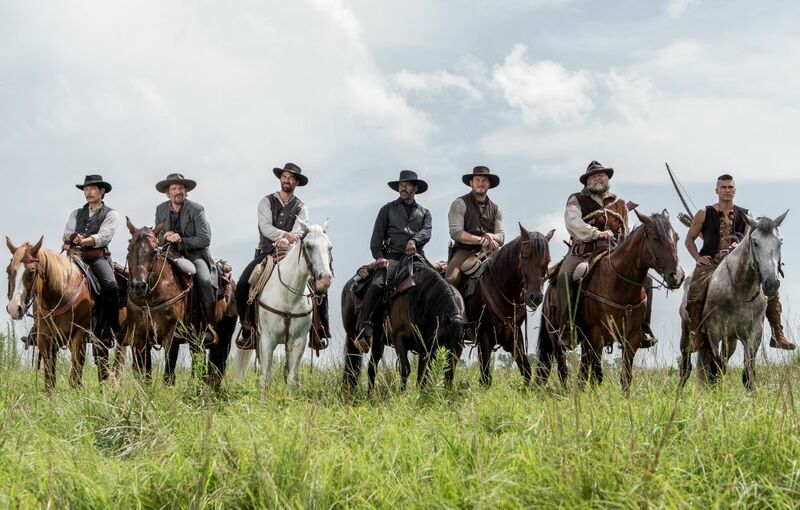 2016’s “The Magnificent Seven” is a remake of the 1960 classic film of the same name, which itself was a remake of Kurosawa’s 1954 epic “Seven Samurai.” In each iteration the core storyline remains the same, a small group of warriors defending a small town against incredible odds. However, with each version as the accessibility of the film goes up, overall quality goes down. This isn’t to say that Antoine Fuqua’s latest is a bad film, far from it. It’s just unlikely to go down in history as a classic that future generations will seek out. In the moments before the title card flashes we are introduced to the small town of Rose Creek. 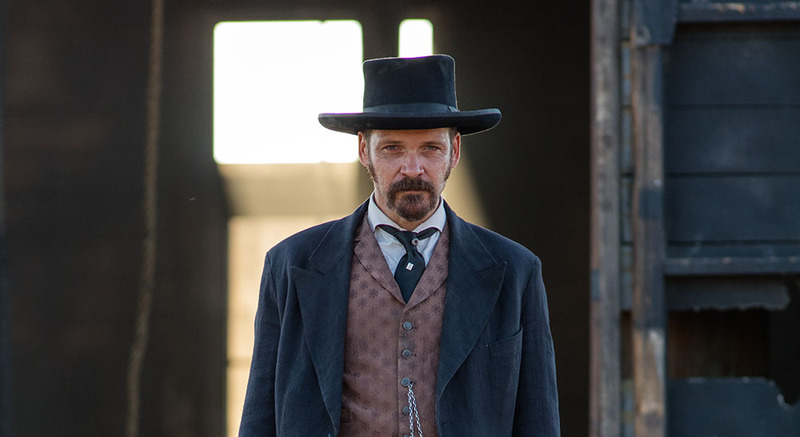 It’s 1879 and the common folk settlers are being terrorized by a sickly, capitalist, villain, Bartholomew Bogue (Peter Sarsgaard) He’s found gold in the hills surrounding the humble town and has offered the people a paltry sum for their land. They are given a choice: Either accept his token payment, or die. As the town church is set on fire, he makes good on these threats, gunning down the husband of Emma Cullen (Haley Bennett). Emma and a friend take it upon themselves to find hired help to rid their settlement of Mr Bogue and his henchmen. 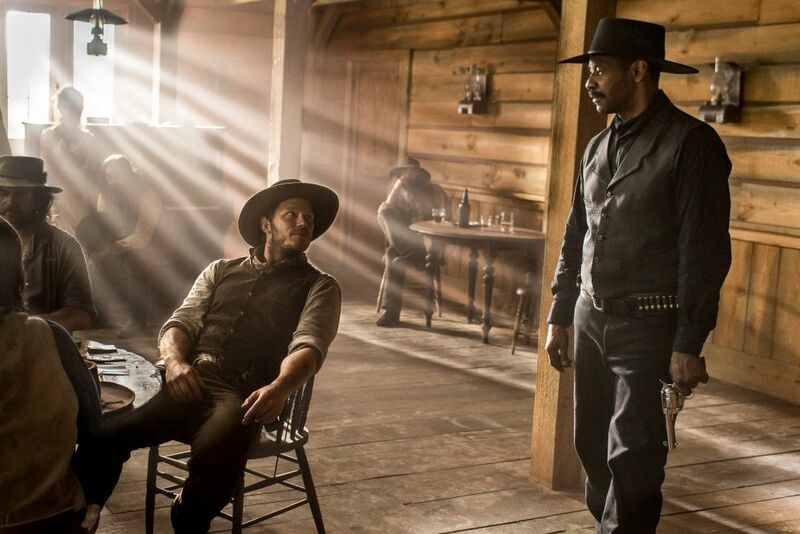 Before long they witness the handiwork of bounty hunter Chisolm (Denzel Washington) in a nearby town. At first, he is uninterested in what is likely to be a suicide mission, but quickly changes his mind once she mentions the name Bartholomew Bogue. Over the next 30 minutes the film really shines as Chisolm assembles his team. These guys are less “characters” and more “caricatures” of actual people, dangerously skirting the line of classic stereotypes. The upside being each of the seven are far more unique and diversified, and in some ways more interesting than expected. Chris Pratt is gambler and world’s greatest lover, Josh Faraday. Ethan Hawke is a former Confederate sharpshooter, Goodnight Robicheaux. He’s accompanied by his Asian dagger wielding companion, Billy Rocks. Manuel Garcia-Rulfo is a mexican outlaw known only as Vasquez. Vincent D’Onofrio is the equally timid and intimidating Mountain Man, Jack Horne. And finally, Martin Sensmeier plays a tribeless Comanche called Red Harvest. These guys make up a better Suicide Squad than anything DC ever put together. The rest of the movie plays out almost exactly as one would expect. The only tension comes from wondering how many, and which order, characters will be killed off. 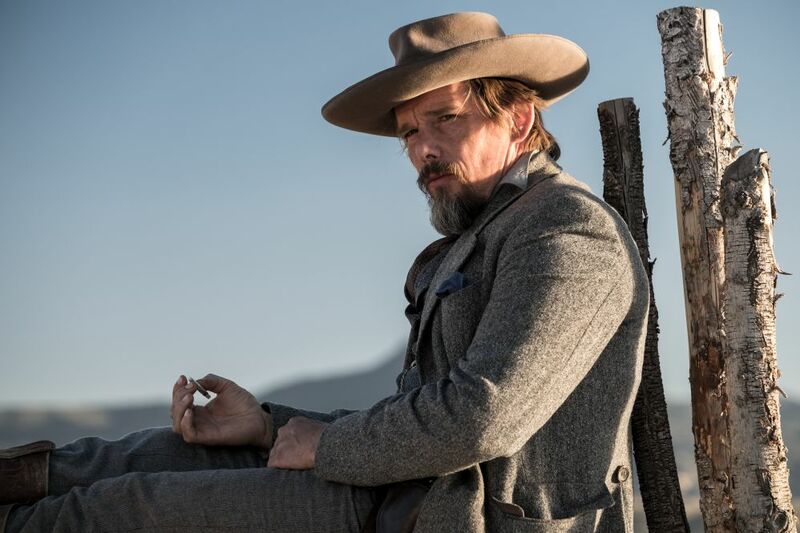 It soon becomes apparent that the goal of this film isn’t to do anything new, it’s to remind us of our favorite moments in Westerns from our past. Simply put, it’s an homage to Western Cliches. With so much borrowed material and styles, this Hollywood Blockbuster version of a Western could easily have been a disaster. But somehow it magically all works together. It likely won’t get nominated for any awards, but in sheer popcorn entertainment value, it’s a winner.